Browse this website to find information about joining the elementary band program, concerts, rehearsals and more. 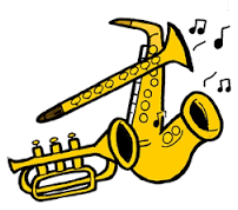 ​4th Grade Band is made up of students in who are just beginning to play a band instrument. ​5th & 6th Grade Band is made up of students in Grades 5 and 6, who have completed at least one year of music lessons. ​Elementary Jazz Lab is made up of 2nd and 3rd year band students. This group includes all band instruments and a "rhythm section" made up of piano, drumset, guitar and bass guitar. Rhythm section members must have a minimum of 2 years experience on their instruments.